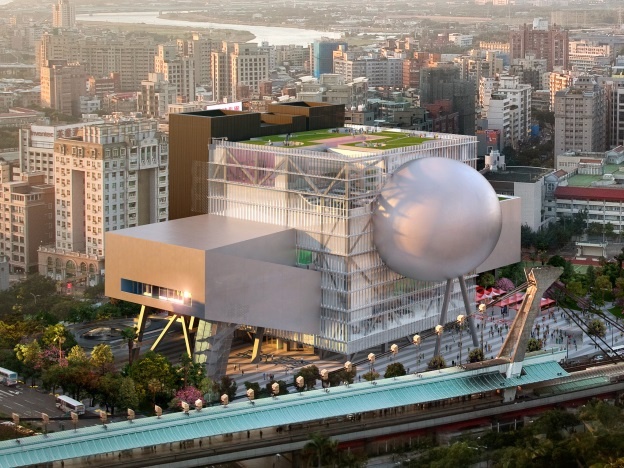 The project is a public Performing Arts Center for Taipei City and includes a Grand Theatre (approximately 1500 seats) and two medium-sized theatres, as well as associated spaces including rehearsal rooms, offices and workshops. The total floor area is approximately 58,650 m2 and the site area is 20,750m2. A Cube, approximately 55m tall and 50m square, which contains all of the stage and backstage facilities, lobbies, offices and rehearsal rooms. Three theatres, called the Grand Theatre (GT, 1500 seats), Multiform Theatre (MT, 800 seats) and Proscenium Playhouse (PP, 800 seats). The auditoria project outwards from the Cube, and are elevated above the ground on columns. 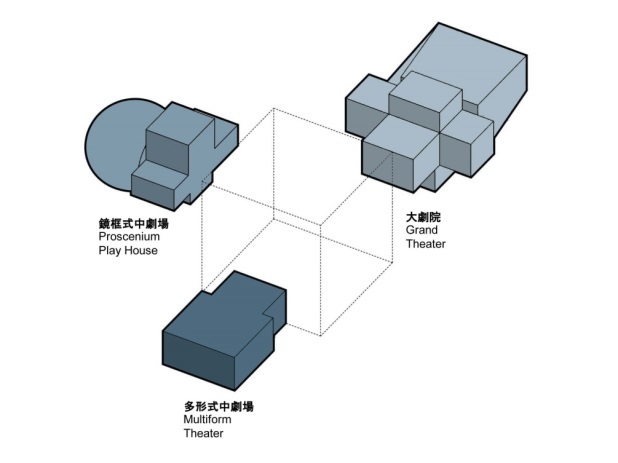 A key architectural feature is that the stages of GT and MT can be combined in a number of alternative configurations. Parking and plant rooms, located in the single-story basement. 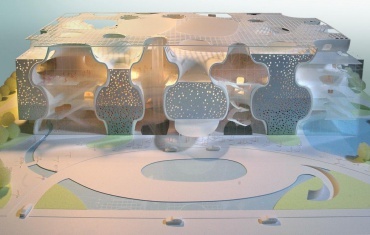 The base isolation structural system has been selected for this special project. Comparing with the conventional structure, the base isolation system can significantly reduce the seismic forces acting on the building. This is particularly important on this project due to the complex and irregular architectural form. 1. The periods of the isolated structure are irrelevant. 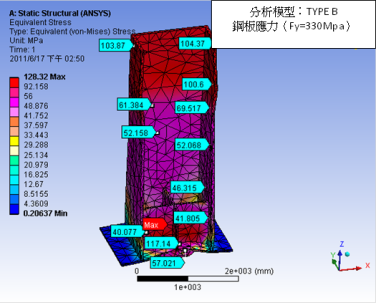 This characteristic will be advantage for a building with highly changeable vertical load distribution. 2. 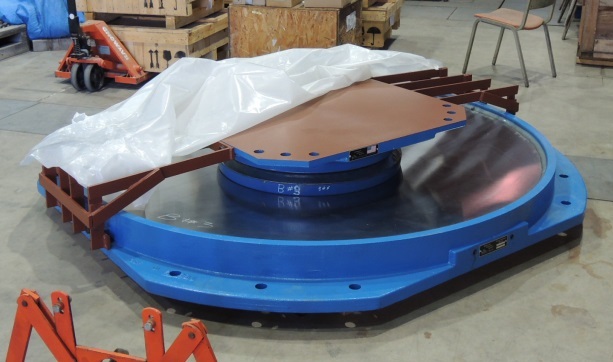 The horizontal stiffness of the isolation system is proportional to the vertical loadings. Thus, the rigid center and the mass center of the isolation layer will be coincide and suitable for the complex and irregular configuration. 3. High bearing pressure of the isolator helps to support the large column force requirement of this project. 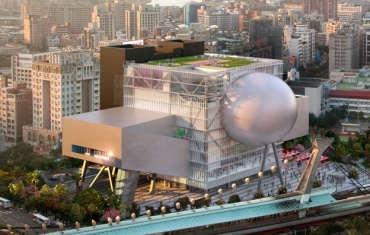 Above the isolation layer is twelve-story high with one-story basement steel structure. 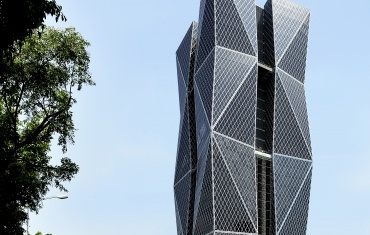 The integrated stability of entire building is provided by the beam-column and bracing frames surround the cube structure. With these exterior framing systems, the large interior space is released and can be utilized according to different functional use. 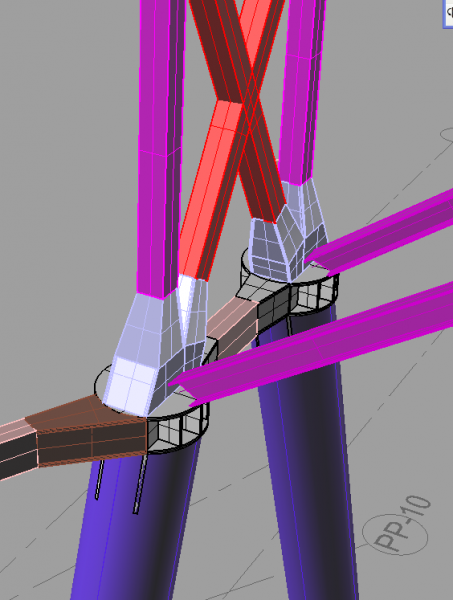 Three over-hanged auditoriums extruding from the cube are linked by several truss systems. 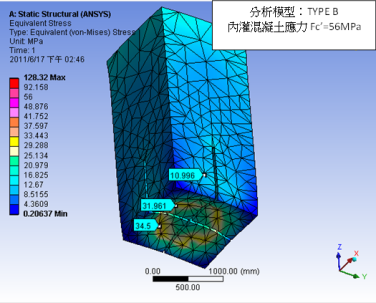 3-D structural analysis software such as SAP2000, ANSYS ...etc., are utilized for more precise stress evaluation. The 3-D modeling software, Rhino, Revit…etc., are also provided as integration platform for all professional consultant parties. These tools are crucial for the detail review of multi-component steel structure connections like the complicated project like TPAC. 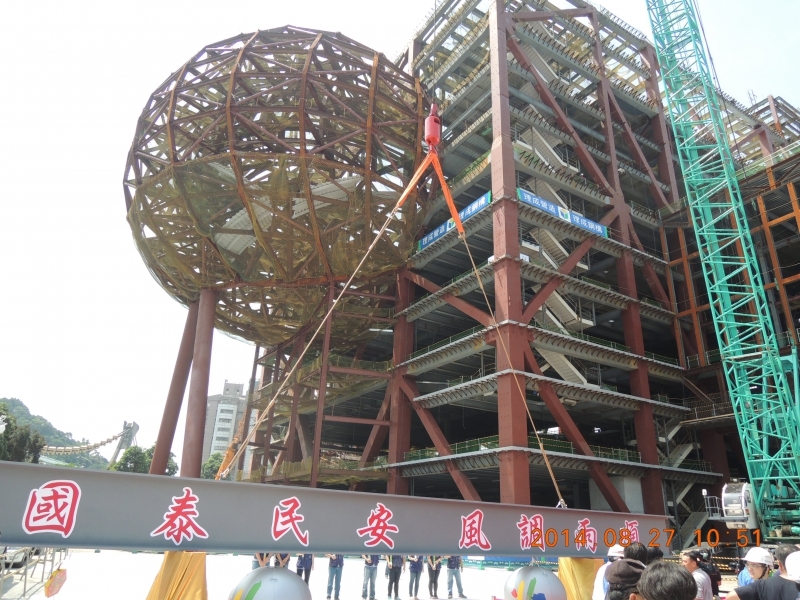 The top-out ceremony of TPAC was held out on August 27, 2014. While the last steel beam rose slowly, everyone who participated in this project was honor rewarded. 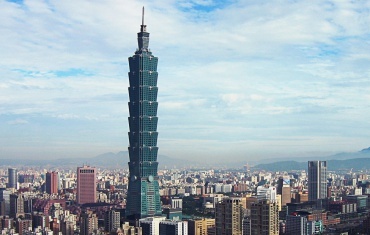 Evergreen Engineers are also proud to be participant of this unique project of Taipei City.